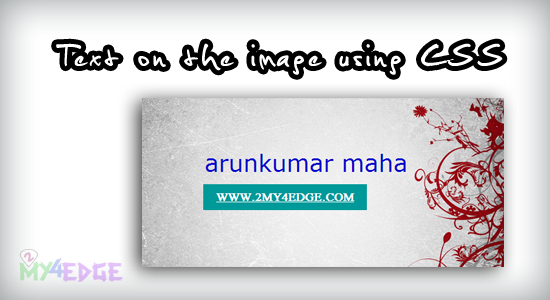 Most of us don't know how to place a text on the image using css, here i'm going to explain you, how to make text on the image using css. it is also called as caption of the image, that is what we are going to do. let see the coding. like the above image, we are going to place the text on the image. you can change the red highlighted area as where you need. position:absolute make absolute position on the image. i hope this may useful for designing. Thank you.